Home Off Beat	Amazing Zip tattoo that hides your scars! Scars are an intimidating blot on the skin, which are often different to differentiate unless otherwise done over with. Tattooing over scars is not a new thing to us and pictured above is an outstanding example of the same. This Zip tattoo looks to be one of the coolest ways to hide a scar that you hate to look at. 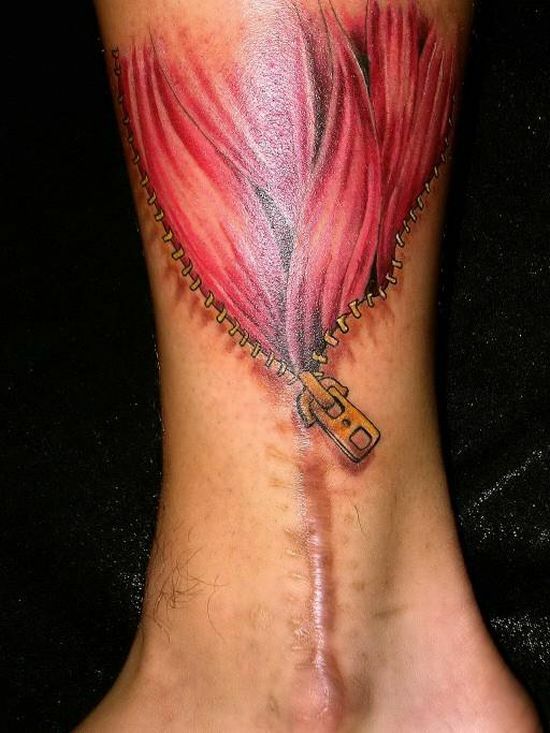 The tattoo is in the form of a zip thatâs half open and it appears that you can zip it up or down to hide or reveal the scar. Weird tattoos: Cool or crazy? ← Beware it’s venomous – Scary yet stylish snake tattoo!